Before getting serious about my own finances and looking to better master my money, I just had all my non-invested cash sitting in my standard chequing account. There was no difference between my monthly spending budget, discretionary income or saving. The concept of an emergency fund had yet to cross my mind. Luckily, I came across some personal finances resources and content that saved my financial life. This helped automate my finances and build a “money system” that fit, including an emergency fund. If you haven’t considered the topic yet, don’t worry there’s no better time to start than now. This post will touch on the following in terms of an emergency fund. To build off that further, this is liquid money (readily available) that is set aside and not to be touched unless an unforeseen financial emergency arises. This is kept separate from your other money to avoid dipping into it for non-emergency needs. An emergency fund is intended to keep you above water should an unfortunate emergency does arise. Call it a weather the storm fund, the bunker of your finances or fallback account. The point here is clear, this a cache of money stowed away to survive when life hits you in the face with a dose of unfortunate circumstances. Personal finances are personal and there is no one size fits all solution. However, a somewhat universal belief is the necessity of an emergency fund. It can be the difference between crippling your financial future or surviving this unfortunate situation. Building this emergency fund can give you a sense of security and peace of mind. The Balance shared 8 reasons you need an emergency fund. Many of which support what we’ll dig deeper into below. So what constitutes an emergency? This depends entirely on your own financial and living situation but I’d categorize an emergency as unexpected events that could entirely shift your financial situation and life. Maybe you’ve been dismissed from a job and you need your emergency fund to cover living expenses until you’re gainfully employed again. Perhaps your son or daughter has a dire medical emergency not entirely covered by your insurance. You might need a new roof after a major wind storm or your car broke down. If you didn’t have an emergency fund any of these situations could drastically change your financial situation and alter your quality of life. Your definition of an emergency might differ but your fund is intended to weather these types of circumstances. Again, there is no one size fits all solution here. I’m gainfully employed, with an above median salary in Canada, no kids and moderate spending. My personal situation differs drastically from a family of 4 with only 1 parent working full-time and a below median salary. Your income, family situation, type of employment, spending habits, debts, obligations, lifestyle, etc. will constitute what’s feasible or the best for you. The goal is to build a financial safety net and peace of mind for you and your family. Check out these two emergency fund calculators to help with the numbers. The system I followed when building up my own emergency fund was in 3 phases. Setting realistic targets and timelines will ensure you stay motivated and don’t feel overwhelmed. That’s why I’m a big proponent of tackling this in steps. Saving $1,000 will put you in a position that the majority of the population isn’t in. As CNN Money noted last year, 6 in 10 Americans don’t have $500 in savings. Rome wasn’t built in a day and your holistic emergency fund won’t be either. This first $1,000 is the launching point to giving you peace of mind. It can be your initial fallback fund to cover an unexpected expense. After getting the first $1,000, the next stage is to build one month of your basic expenses. These are the expenses “necessary” to continue functioning, eating and getting to work. Food: sustenance to keep you going – NOT eating out, fancy cuts of meat, etc. Think of what you actually need to survive and keep afloat. This would not include your discretionary spending on meals out, craft beer habit, entertainment, vacations, gifts or vanity services. Only the bare bone expenses to keep afloat. Falling in this range is the most frequently recommended funding from personal finance books, blogs and resources. We can consider this the optimal landing spot for your emergency fund: 3-6 months worth of bare bones expenses. This level of emergency fund would hopefully keep you afloat when those unforeseen life changes do occur. Hopefully giving you the chance to recover, find a new job or rectify whatever the situation is. Ideally from the outset of deciding to build your emergency fund you created a timeline to hit these targets. You’ve progressed from $1,000, to one month of expenses and reaching for the 3-6 month threshold. As we’ve noted multiple times, there is no one size fits all. Your unique situation will dictate what’s necessary and certain requirements might require you to have less or more. How quickly you can find another job, whether you have dependents, if you’re in debt and other factors will shift how much should be in your emergency fund. If you want to follow the same 3 stage approach I did, you should now be at the point where you’ve set your goals and timelines. The next step is sourcing that emergency fund and building the balance to your targets. The first place to look is your current chequing account. The balances sitting in your account(s) might be enough to fully fund or start your emergency fund. One tactic commonly used is “rounding off”. At the end of every week, round off your chequing account to next clean hundred dollar figure. For example, if you have $1,521.50. Transfer $21.50 (or $121.50 if you can afford it) to your new emergency fund account. Do this at the end of every week and perhaps you can increase the amount in time as you get more settled with your new financial habits. Anytime you receive a raise or bonus, ideally those dollars go towards major financial objectives: paying down debt, saving for a major purchase or building your emergency fund. Maintain your current lifestyle and divert those dollars to other responsible means than just spending more. If you have an upcoming bonus and recently received a raise at work, leverage that opportunity to start building your emergency fund. There are countless opportunities to earn additional money outside your 9-5. Through your skills, expertise or hard work, the gig economy, sharing economy or traditional work all open a world of income generation possibilities. Here is our post with 35+ side hustles that almost anyone can do. Drive for Uber, earn money online through Swagbucks tasks, refer all your friends and family to Ebates and earn over $150 like I did, walk dogs with Rover, open an Etsy shop, freelance on Upwork. There are amazing podcasts like The Side Hustle Show and Side Hustle School dedicated entirely to making more money outside your traditional career. An extra $100 a week will go a long way to supporting your emergency fund building (and other financial goals). One of the easiest wins I had in the early stages of my personal finance journey was selling over $1,800 worth of “stuff” on eBay with about 45 minutes of work. Most of us have things in our storage units, closets, under our bed, on our shelves or in our drawers that we have no use for. I guarantee if you spent 30 minutes looking around you’d start to see dollar signs lying around. Clothes, collectibles, sporting equipment, books, electronics, household items, jewelry, etc. Make a pile. Call it your emergency fund pile. Take some clear photos on your phone and then list them. With eBay, Amazon, kijiji or one of the other handful of online marketplaces you can list your items in a matter of minutes. Evaluate your spending like a hawk. If you use a tool like Mint or Personal Capital, dig into where your money is currently being spent. There is likely room for optimization and cost-savings to help build your emergency fund. I performed my own spending audit in two stages and was able to identify the below savings. After 3 months I dug back into my spending habits on Mint. This netted me anywhere from $450 – $550 in total monthly savings. My quality of life and happiness was barely altered. However, I was speeding up my emergency fund accrual and then retirement investing afterwards. I encourage you do the same spending audit to find areas of improvement. 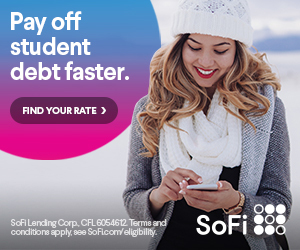 If you have student loans or a personal loan, look at refinancing with Credible or SoFi. 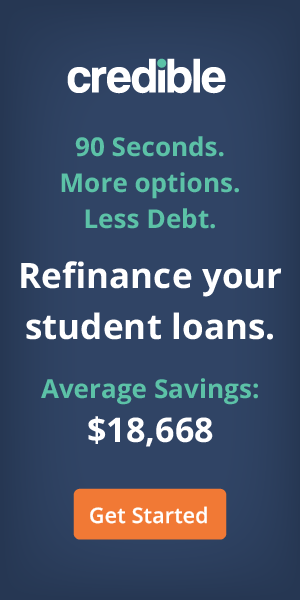 There’s an opportunity to save thousands of dollars in interest. The most important factor with your emergency fund, other than the amount of money in it, is how readily available it is. If an emergency does occur, you’re going to need access to this money. Where you put this money is a cause for debate and constant discussion within the financial community. Let’s consider some of the different options. Parking your emergency fund in your chequing account definitely makes it the easiest to access. At any time you can use your debit card, withdrawal from an ATM or head over to your local bank to cover this emergency expense. However, this is not optimal from a money standpoint. First off, you’re likely earning 0.05% interest on that money. Secondly, this fund is mixed with all your other spending money. Thirdly, that can create a natural inclination to “dip” into your emergency fund for non-emergencies. The most common home for emergency funds are high interest savings accounts. They provide the benefit of still being liquid (for the most part), separate from our standard chequing accounts and provide an opportunity to earn (limited) interest. Thankfully there are online services that aggregate the best savings account offerings currently available. At times these different banks might offer new sign-up bonuses or teaser interest rates to give you even more benefit. Nerdwallet is a platform for researching and comparing various financial services and products. Including high interest savings accounts plus credit cards, investment accounts, chequing accounts, mortgages and more. Ratehub is essentially the Canadian counterpart to Nerdwallet. You can freely compare and explore various financial services and products. Including high interest savings accounts, the latest rewards credit cards, mortgages and more. The final consideration is whether you should invest your emergency fund into the stock market. The decision will ultimately fall with you but this is the most discussed and polarizing location to place your emergency fund. There are some factors to consider when determining whether you might want to invest your emergency fund. Risk tolerance: if your emergency fund falls 30% with the market volatility will you stick to the plan? It’s been suggested that if you want to invest your fund you should actually aim to include 1.3x your target allocation to offset potential loses. Employment: the stability of your current position and likelihood of you securing another jiob quickly weighs into the decision. Diversified income streams: if you have multiple sources of income that can help better offset any financial emergency or loss of employment. TFSA or Roth: your ability to access your emergency fund quickly is key. The penalty-free withdrawals of TFSA (CA) and Roth (USA) are the suggested account should you go this route. Remember most discount brokerages and robo-advisors have a 3-7 business day withdrawal period. High Credit Card Limits: Given the turnaround time of accessing your money ideally your credit cards limits are high enough to stop-gap and cover the emergency expense. Other factors: insurance coverage, debt level, current savings rate and whether you have dependents. There are qualitative and quantitative reasoning supporting both sides of the pro and con investing your emergency fund discussion. Many will throw up the red flag at the thought of investing your emergency fund. Why? Volatility, accessibility, potential losses, not the “purpose” of the liquid fund. This article from CNBC had insights on the opposing view of investing your fund. Others will recommend you keep all of or a portion of your emergency fund directly in the market. Why? Higher returns, long-term earning potential. Plus the fact that inflation will outpace returns available from a normal savings account. The same CNBC article, supported the pro investment choice as well. “There is an opportunity cost to having an emergency fund that’s earning less than the rate of inflation,” said Dan Egan, director of behavioral finance and investments at Betterment. Betterment actually recommends investors put their emergency funds in a portfolio with between 30 percent and 50 percent in stocks and the rest in a diversified allocation of bonds. Ultimately it’s going to be a personal choice. Focus on getting started with building your emergency fund, that’s the most important step. The Simple Dollar shared this article on five reasons to consider investing your emergency fund. Grant from Millennial Money shares a similar sentiment of investing your emergency fund. Nerdwallet considered the same topic of investing your emergency fund. Lifehacker also shared their opinion on emergency fund investing. If there are two takeaways here it should be that having readily available cash to cover unforeseen expenses is universally recommended and that personal finances are personal. There is no uniform application consistent to everyone for emergency funds. The decision on how much to save and where to put it will depend entirely on your own financial situation and personal preference. Don’t let an emergency cripple you. The best thing you can do is be prepared and have a plan in place to conquer that should it arise.